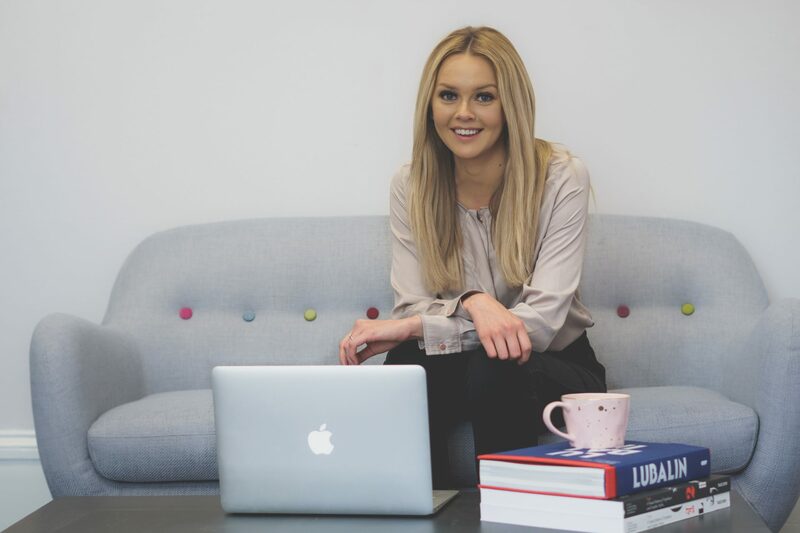 Following our first ‘Getting to Know…’ featuring Creative Director, John, the next lucky member of the team to take their place in the hot seat is our Account Manager, Charlotte. For those of you who we’ve had the pleasure of working with, or anyone who’s simply popped by the Better studio in the past – Charlotte will be a familiar name, face and voice! 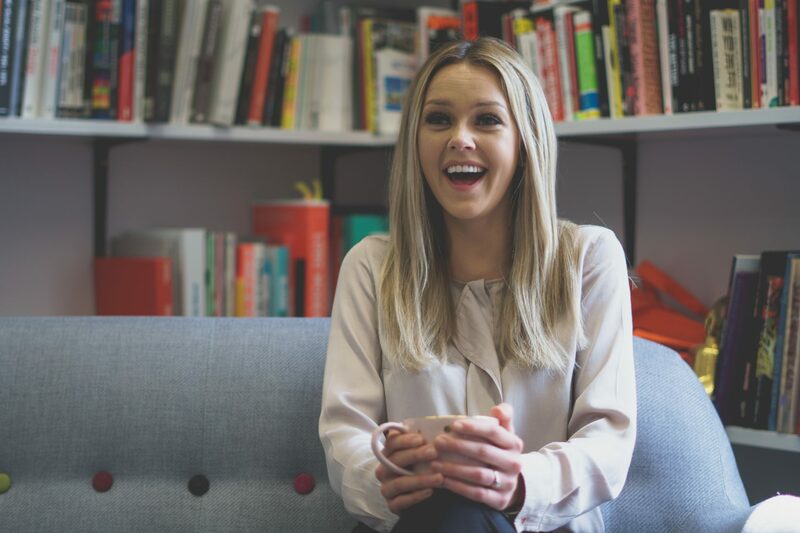 Having completed a Marketing and Advertising Degree at Teesside University, Charlotte joined Better in 2013. Exactly five years to the day since starting a two week temporary role, she’s still here and enjoying life in our busy and fast paced agency. 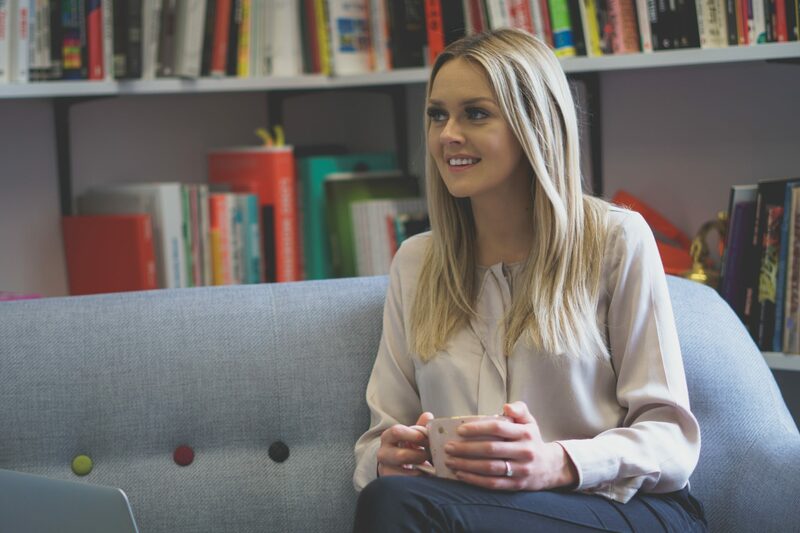 Charlotte’s day-to-day role involves leading the management of client accounts, studio resources, and ensuring the happiness of every client, every minute of every day. It’s fair to say she’s the most organised member of the family, and it’s little exaggeration to say that we really couldn’t function without her. Now, onto those seven key questions! What made you dive into the world of client services and account management? Client services wasn’t a role ever mentioned at university and a role I never really knew existed. I had originally set out looking for a pure marketing role due to the career discussions at university, but during my two week temp role at Better I was introduced to the world of client services. I think it’s the best of all worlds; I get to work with a variety of different clients on all aspects of branding and marketing, as well as working closely with our internal creative and digital teams. It’s the variety of the projects we work on and the people we work with that makes every day at Better one to look forward to. I could be overseeing a photo shoot in a train manufacturing facility for a marketing campaign one day, and spending the day at a housing development site for a branding project the next. There is still quite a few days in the office catching up with emails and checking in with the studio but that’s what makes the job so varied. It would genuinely be hard to pick just one. One project that I personally enjoyed working on was the BetterBrandBuilder™ project for Red House School. During the DISCOVER phase, myself and our Brand team spent 2 days at the school to assist with the brand research. We visited some of the classes and had the pleasure of joining the children for a proper school dinner. It was a real nostalgic and enjoyable experience. The end result created by the team was also a pleasure to have been a part of. Another project which stands out for me was a recent housing development brand identity we worked on for Metropolitan Housing. Our Client Services Director, Paul, and I visited the site near the historic village of Brampton in Huntingdon. This was my first Housing Development project, so it was a big learning opportunity for me in regards to the assets needed once the brand identity had been finalised. The site visit assisted in identifying where hoarding would be needed, where signage would be placed to direct visitors to the site as well as to get a general feel for the area which the team would use as part of the DISCOVER phase. The end result was an identity influenced by the military history of the development with a nod to the surrounding countryside. If you had the chance to work on a project with one client in the world, who would you choose? On first thought, I’d love to work with a brand like Chanel. It’s one of my favourite brands but is already so successful in the way it connects with its consumers through brand perception and is definitely not in need of a re-brand! That said, I think working on a marketing campaign for Chanel to contribute to the further success of such an already iconic brand would be amazing. Although I love Chanel as a brand, I think maybe a more exciting brand to work with would be MAC cosmetics on one of their new product range campaigns or developing a sub brand identity for the cosmetic ranges they often bring out. MAC has always been a brave and naturally creative brand; with it’s RuPaul, Pamela Anderson and Barbie campaigns. I bet theres never a dull moment for their creative agency when rolling out new lines with one of its wild collaborations. To give the creative team at Better a brief to create the identity for MAC’s new cosmetic range would be amazing and I’d love to see what we came up with (I’m sure it would be the best sub brand they’ve ever had). But where do you go from RuPaul and Barbie? The Real Housewives of Beverly Hills. I’d be anyone of the characters, I’m not picky. Very tricky question. Out of the places I’ve visited, I think it would be a beach we once visited in Cape Verde. We drove out to part of the coast that was completely secluded, just white sand and clear blue sea for miles. We spent the day there just sat on the sand and swimming in the sea. The sea was like having our own private swimming pool, so warm and clear. There was rock pools near by and my son spent most of the day finding crabs and snorkelling. It was such a serene and relaxed place made better by being with my favourite people. If you’d like know more about our BetterBrandBuilder™ process give us a call on 01642 989158 or drop us a message. If you’d like to know more about our team take a look at our team page and keep your eye on the blog for similar posts! 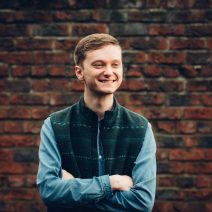 With an NCTJ diploma to his name and extensive experience creating engaging brand led content for B2C and B2B brands, James fits perfectly into our creative team. 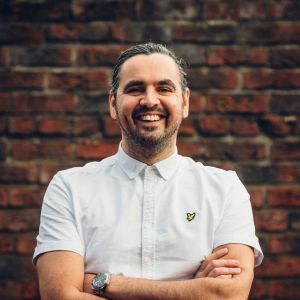 With a keen interest in music, football and all things Teesside, his eclectic flair and passion, fused with the latest creative trends, help to create engaging content and brand stories for a range of clients across the UK.